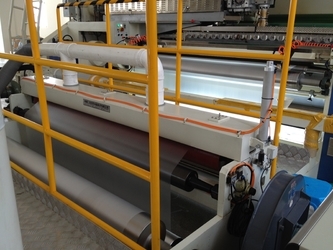 High-speed extrusion coating laminating lines for producing thermal laminating film with 850MTs capacity per month. Advanced technical core part to guarantee more symmetric thickness and high adhesion strength. Corona treated laminate roll, single or double sides corona valued up to 52 dynes. 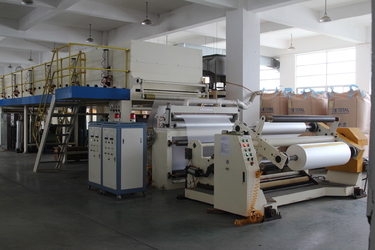 Excellent roll slitting and rewinding of BOPP Thermal Laminating Film. Matt rolls that can be customized with width and length. 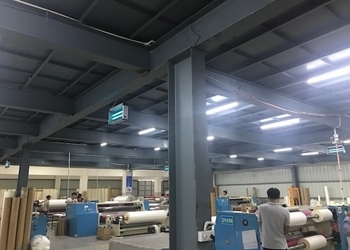 Xiamen After-printing Finishing Supplies Co.,Ltd so far share-holds five multiple extrusion coating lines and ten slitting machines assembled for producing plastic roll of thermal laminating films, outputting 750MTs per month. In order to ensure serving high quality coating laminating film, our extrusion lines are powered with the most advanced critical technical spare parts that guarantee the best symmetrical coating thickness and high bonding adhesion strength. 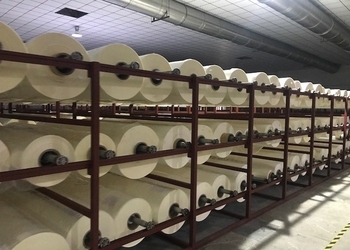 For most of time, before being rewinded or slitted, our laminated rolls are dried for one day after being coated by adhesive glue of EVA. 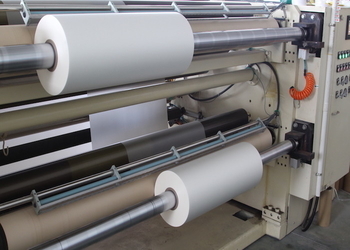 This process strengthens adhesion value and enables the laminate plastic rolls more smooth while reducing static. 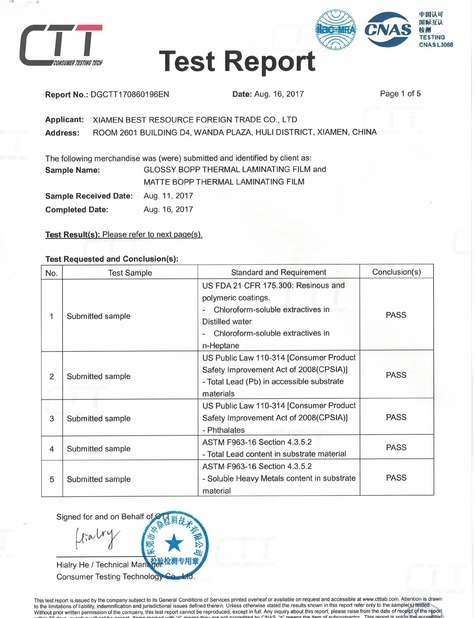 More information on thermal lamination, it is a lamination process by which we make laminates due to effect of heat. We also call it heat or dry lamination. 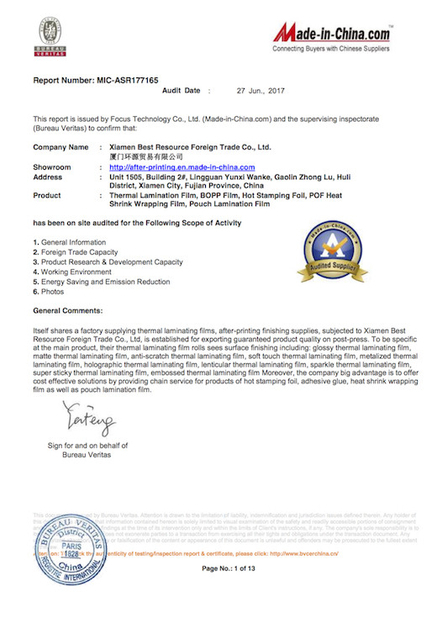 These laminating films are manufactured by extrusion coating process and on one side of the film heat sensitive glue coating is done, mainly of which is BOPP + EVA or PET + EVA. 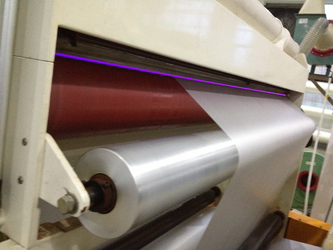 Thermal laminating passes through heated roll or laminator. We have to apply some reasonable pressure and lamination is done. Dry lamination is getting more useful due to its advantages on wet laminating. We need not to apply some other adhesive to laminate.